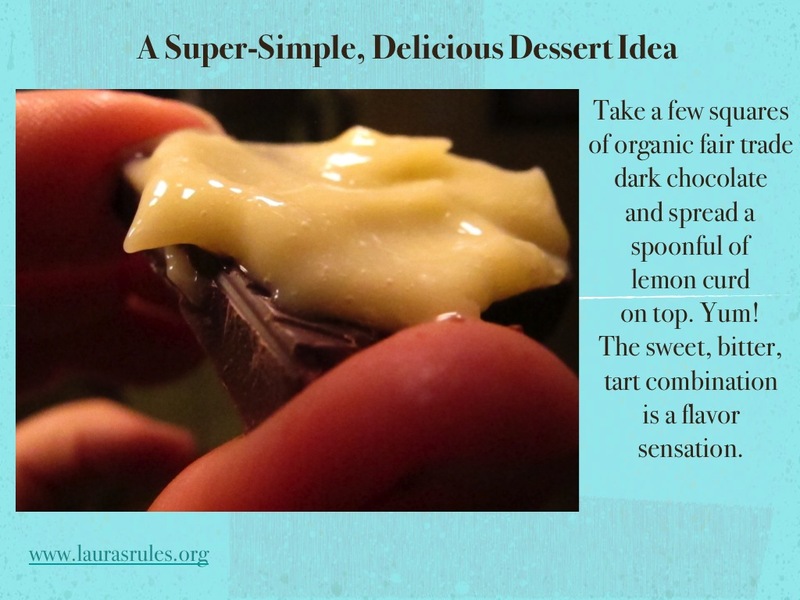 Making a Spartan Dessert Sing: Chocolate Squares with Lemon Curd | Laura's "Rules"
This entry was posted in Recipes & DIY and tagged Chocolate, cook, decadent, delicious, dessert, Dessert bar, easy, food, Fruit curd, gluten-free, Gluten-free diet, health, healthy, improve, Lemon, lemon curd, recipe, Seasonal Pantry, simple, square, tip, wonderful, yummy by Laura MacCleery. Bookmark the permalink. Sounds yummy – now I must try this! Oh how deprived I now feel, all these years of ritualized chocolate consumption, nightly cup of tea with two measely bits of cacao & sugar will have to try a new twist. Lemon curd is a favorite of mine as well.